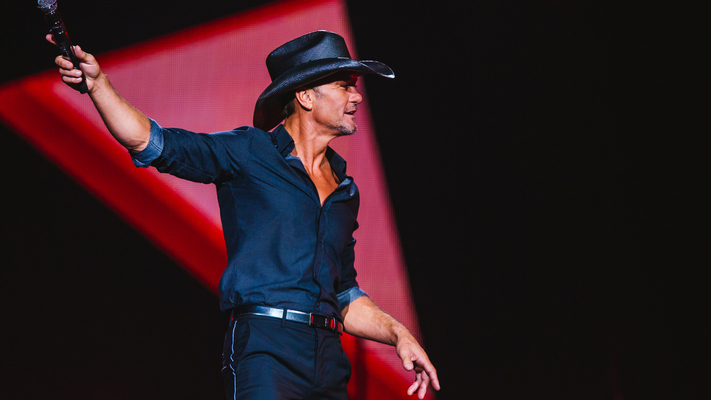 Set to kick off September 14 and 15, superstars Tim McGraw, Little Big Town, Luke Bryan and Keith Urban will headline the exciting musical event! 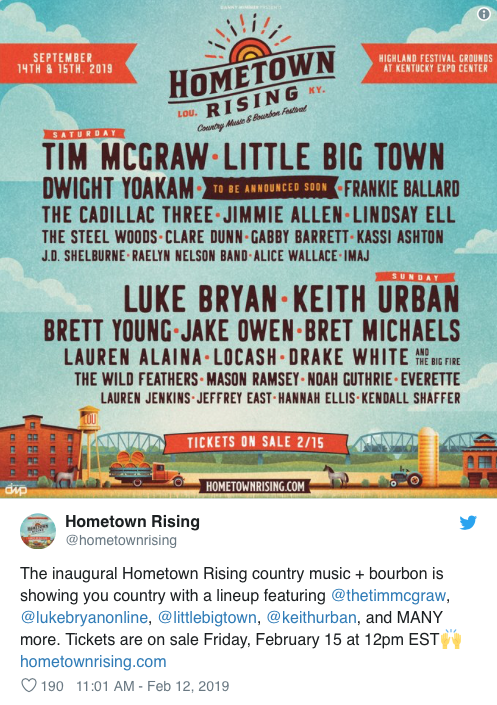 Some of the biggest names in country music are heading to Louisville, Kentucky for the new Hometown Rising Festival. 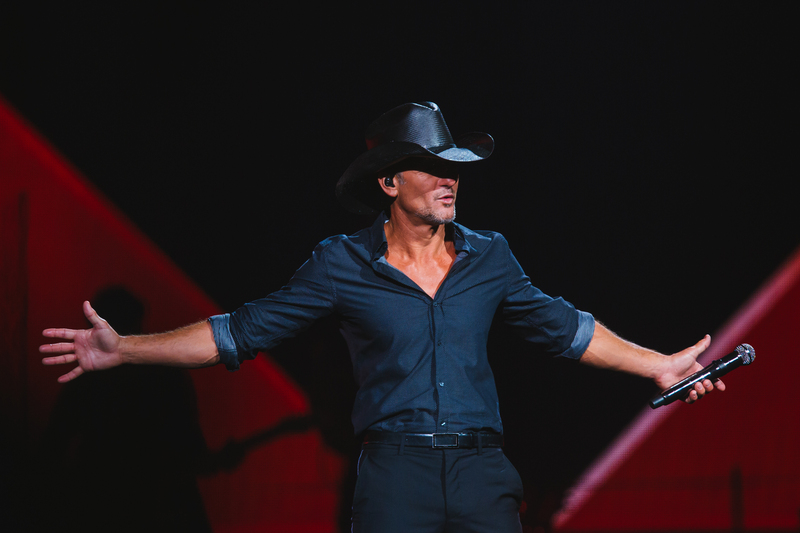 Set to kick off September 14 and 15, superstars Tim McGraw, Little Big Town, Luke Bryan and Keith Urban will headline the exciting musical event. The festival will also feature some of the region’s signature bourbons via tastings and workshops with distilleries like Old Forester, Four Roses and Evan Williams. 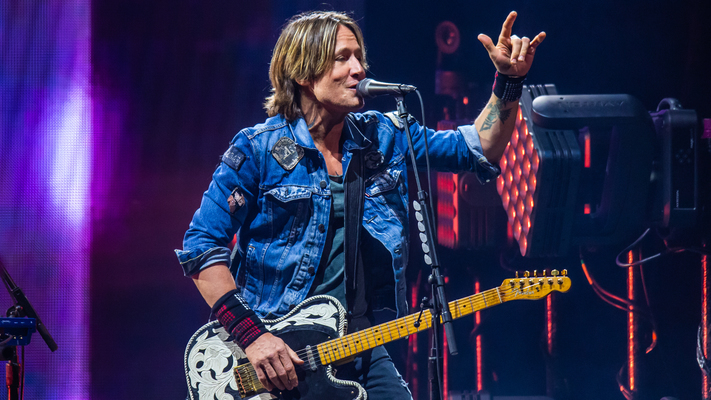 Weekend passes start at $99.50 and daily passes start at $69.50. Tickets go on sale Friday, February 15. For additional info about tickets, go to https://hometownrising.com/tickets.